Going on a holiday is something that women look forward to. It presents the opportunity to relax, try new things, and just live in the moment. Some gals abandon their usual routine and go completely au naturel when they get this much-needed “me” time. But, for some, going onvacation requires looking extra-cute because they never know who they will meet along the way. 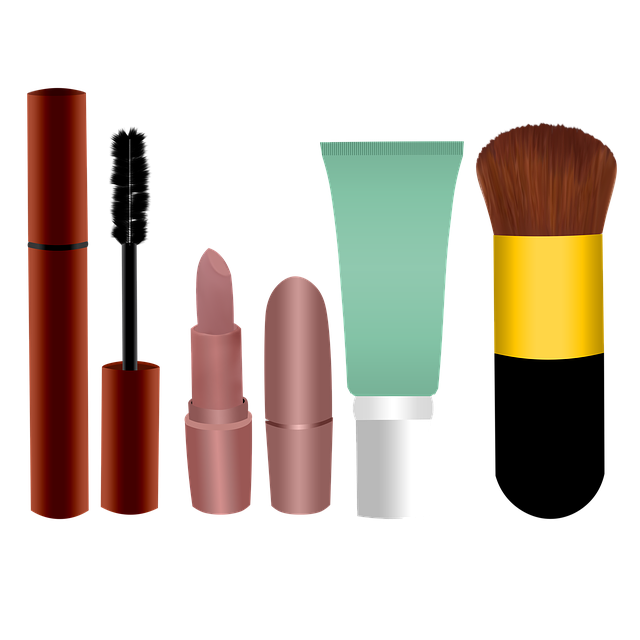 If you are heading off to the beach or a popular tourist destination and you want to make sure that you look pretty and ready for a “meet cute” anytime, you need to create a travel makeup kit. This kit should be full of high-performing makeup that can easily give you that fresh no-makeup makeup look or all glammed out face. This is if you want your makeup to stay on throughout the day. Primers improve the adherence of other makeup products and improve wear. Go for a small tube of Rimmel London’s #InstaFlawless for that nice hint of glow and decent oil control. This combines light foundation, moisturizer, and sunscreen. It is absolutely perfect to use if you are not keen on the unflattering white cast you normally get from most sunscreens. Also, BB cream just provides a light to medium coverage. If you want your skin to look as natural as possible throughout your holiday, you cannot go wrong with a BB cream with enough SPF such as the Garnier Skin Active BB Cream. It comes in a small and slim tube that can fit easily in your makeup pouch, and it comes in a color range that you can easily sheer out as you tan. A good concealer is a must, and it does not even take that much space in your travel makeup bag. It can brighten your dark spots and target blemishes. Also, you can use it as an eye makeup primer. For travel, a top editorial makeup artist says you cannot go wrong with Maybelline’s Instant Age Rewind Concealer. This is a consistent top performer, and it effortlessly beats out higher end concealers on the market. This product is a time- and space-saving beauty powerhouse. You have blush, bronzer, highlighter, eyeshadows, and sometimes even a selection of lipsticks for all your day and night looks. One of the best full face palettes that you can bring with you can bring for your holiday getaway is The Balm’s in The Balm of Your Hand palette. You have blushes, contour, highlight, eyeshadows and lipstick. All these are the best-selling products in The Balm’s line. It is, however, not a small palette but it can fit most makeup bags. So, if you want a collection of high-end feeling makeup, this is one of the best options to consider. This the perfect product for a one-step brow look. It fills sparse areas of your brows, intensifies the color of your brows, shapes them and holds them in place. When you are traveling, you really do not want to spend too much time perfecting your brows to frame your face. With a brow ink product like Hard Candy Brow Ink, you can get perfect brows in just a few sweeps. When you do not feel like bringing your makeup kit with you everywhere you go, you need to at least be able to put in your pocket a tinted lip and cheek balm to give you lovely flush. Consider Mullein & Sparrow Lip and Cheek Balm. It is set in a small canister that fits easily in your pocket, and it is all you need to bring color and moisture to your lips and cheeks. Most importantly, the color does not fade easily. Do without the messy, loose finishing powder and bring with you a small compact powder that can easily mattify your face, reduce the appearance of pores, and control oil. Innisfree’s No Sebum Mineral powder is perfect for the job. Not only does it perform the functions above, but it is also very gentle on the skin and will not aggravate skin issues. It is quite affordable as well. Perky and dark lashes are a must especially if you do not want to line your eyes. L’oreal Lash Paradise Mascara remains the best performer. It separates lashes and coats them beautifully. Best of all, this mascara does not flake even if you hit the water. If you really want to add drama to your eye look while on vacation, this is another must for your kit. It is easier to work with and you can use it for a cat-eye or line your inner rims for a smoky eye look. One of the best at this is the Bourjois Contour Clubbing Eyeliner. It comes in different intense colors and it does not budge once it sets. Swim, stay under the hot sun, and dance all night if you want — you can trust your eyeline to stay tight. So, these are the vanity kit items you need in your holiday getaway makeup bag. Not one of these products feels too heavy or makeup-like. With these products, you do not create a mask, but you can be sure to still feel beautiful for when you meet new friends along the way, and you can have a carefree holiday. Toni Malt is the Middle East's leading international editorial makeup artist and the woman behind the highly anticipated Toni Malt Makeup Academy in the heart of Dubai, now training the next generation of key makeup artists. From minimalistic looks to freestyle artistic creations, Toni's creative work has been published in top international fashion magazines around the world including VOGUE, ELLE, L'Officiel, Marie Claire, Harper's BAZAAR, Grazia and Cosmopolitan.